Four bedrooms, three bathrooms pool vacation rental home on the Links golf course near the beach with fast internet access. 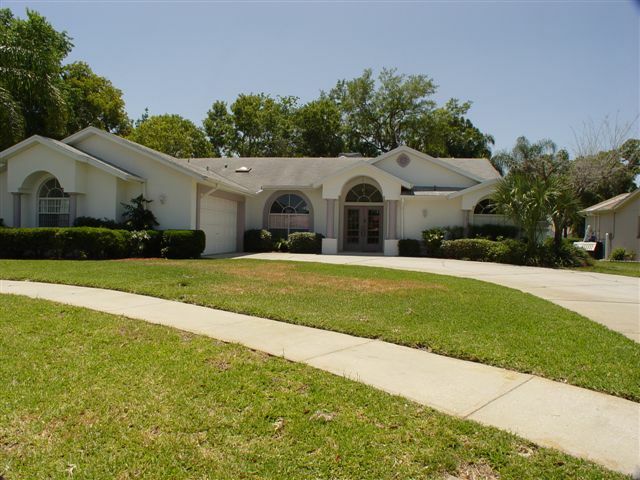 Relax in this great private rental vacation home, directly on golf course. 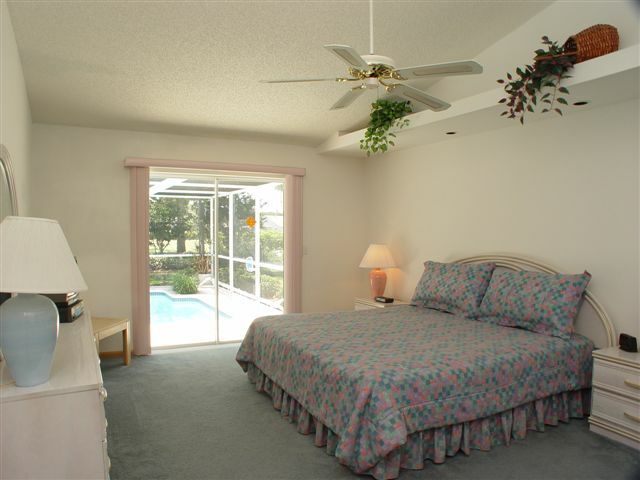 King size bed in Master with Large bathroom with garden tub and walk in shower. Queen size bed with ensuite shower room and two rooms containing two twin beds each. Large family room with formal dinning table. Large kitchen with eating area. Well equipt kitchen. TV in family room and master bedroom.